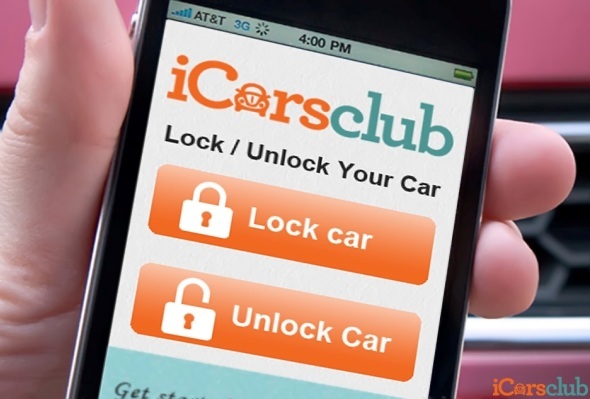 iCarsClub is the first company in Singapore to provide a peer-to-peer car sharing scheme, where car owners can rent out their cars to drivers looking for temporary use of a car without having to own one. Why did you start iCarsClub? Were you influenced by the concept of Collaborative Consumption or the Sharing Economy? Cars parked for days underutilized is both a waste of money and space. In addition to the land transport problem that Singapore currently faces, COE prices hitting the $90,000 mark means many car-owning dreams will be shattered. A global green revolution is gaining momentum and changing how people consume and how businesses operate. This generation of business leaders and companies will face new challenges but the green revolution also present exciting business opportunities. Over the past few years, we came across several new green consumption trends. In particular, there are two new trends that we think would be emerging but important trends affecting businesses and consumers in the coming years. The two new green consumption trends are LOHAS and Collaborative Consumption. LOHAS stands for ‘Lifestyles Of Health And Sustainability’ and is a marketing term that originated in 2000 in the United States to describe a group of consumers who are environmentally, socially and health conscious, and believes in a lifestyle that benefits both people and planet. The LOHAS concept quickly spread to Japan, and then to Taiwan and South Korea. We believe that LOHAS is an important trend because it goes beyond “green” consumers and looks at the converging market of consumers who are interested in the environment, health and fitness, personal development, sustainable living, and social justice. In 2009, a Singapore-based social enterprise, Asia-Pacific LOHAS, was set up to promote LOHAS in Singapore and the region. Asia-Pacific LOHAS aims to educate millions of consumers in Asia that consumption can be done in a better way and to help facilitate the growth of the LOHAS business community to serve these consumers. Asia-Pacific LOHAS also conducted the first LOHAS research study in 2009 with the Natural Marketing Institute based in the United States. The study surveyed more than 18,000 consumers across ten Asia-Pacific countries – Australia, China, Hong Kong, India, Indonesia, Malaysia, the Philippines, Singapore, South Korea, and Thailand. This research provides an in‐depth survey of the LOHAS consumer, the general consumer, and marketplace. The results of the LOHAS study for the Singapore market show that 15% of the consumers in Singapore are LOHAS consumers. Collaborative Consumption refers to the trend of sharing that is empowered by technology and social networks, and how it changes consumption and the way businesses operate. Sharing also refers to renting, swapping, lending, trading, exchanging, bartering, and gifting. The term Collaborative Consumption was first described in 2010 in the book What’s Mine Is Yours: The Rise of Collaborative Consumption by Rachel Botsman and Roo Rogers. Other resources with similar ideas on sharing include the book The Mesh: Why the Future of Business is Sharing by Lisa Gansky and the Shareable website. We believe that Collaborative Consumption is an important trend because consumers are realising that they can share rather than buy more stuff. This is motivated by greater environmental awareness and cost consciousness, the proliferation of mobile peer-to-peer technologies and social networks, and the need to be part of a community. Some local examples of companies involved in Collaborative Consumption include MyRideBuddy and Waste is not Waste. MyRideBuddy is a dynamic and real time carpooling solution in Singapore, which matches users near common start and end points so that they can share a car ride together according to their convenience and preferences. It allows individuals to benefit from the convenience of the car without owning one, while reducing costs and the problems of congestion and air pollution. Waste is not Waste (WINW) is an online waste exchange for businesses and organisations in Singapore and Malaysia. 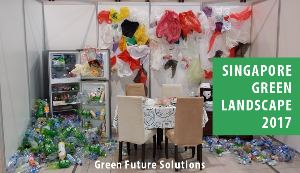 WINW facilitates the exchange of waste materials and unwanted items from companies and organisations that no longer need them to businesses, non-profit organisations, designers and schools that can utilise those waste. This reduces waste and keeps valuable resources out of the incineration plants and landfills while helping companies save time, money and reduce their environmental impacts. The emerging but important trends of LOHAS and Collaborative Consumption offer new ways of looking at consumers and consumption behavior. It is up to businesses to explore these 2 trends and potential business opportunities that may arise.